specializes in Commercial and Industrial electrical contracting, although we also provide exceptional service to those individuals needing electrical repairs, such as; diagnosis, wiring your garage or addition, and fixing any wiring or lighting problem you might have. Our goal is to always exceed our customers expectations. And with our friendly, licensed, and experienced electricians, we have been able to gain a reputation for doing just this. We are known for building lasting relationships with our commercial and industrial clients, and we often receive referrals from our previous service clients. 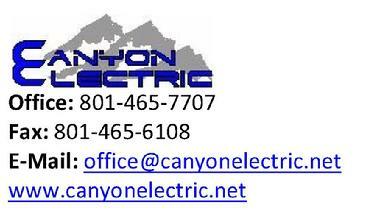 Thank you for considering us for your electrical needs and we look forward to working with you in the near future.